The study of how a neurological disorder can change the artistic activity and behavior of creative people is a largely unexplored field. 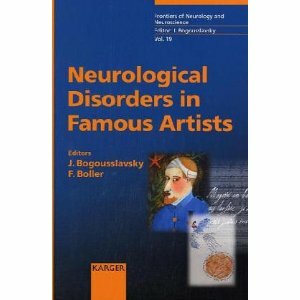 This publication looks closer at famous painters, writers, composers and philosophers of the 18th to the 20th centuries who suffered from neurological diseases such as stroke, epilepsy, brain trauma and dementia. The diseases of Van Gogh, Ravel, Poe, Kant, Haydn and many more are diagnosed in retrospect and treatment options according to modern medical technologies are discussed. Presenting fascinating insights into the relationship between brain disease and creativity in famous minds, this publication is highly recommended to neurologists, psychiatrists, physicians as well as to everybody interested in art, music and literature.